We see profiles of so many people on world's largest social networking website Facebook but do you know many of these profiles are actually fake? on which some People are using Fake pics, names and other information. in August 2012 there were 83 million Fake profiles on Facebook which are now over 90 million in March 2013. another thing that shocked me as a Pakistani was that Pakistan is among top countries with the most Fake Facebook Profiles along with India. People makes fake Facebook profiles for various reasons. some make them do spamming on pages. some makes to hide their identity before adding someone as friend. you will be surprised to know that some people have made hundreds of fake profiles. 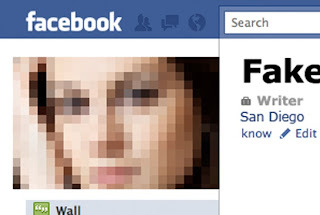 In Pakistan mostly boys makes fake Facebook profiles will girls names and uses girls pics on them. Facebook also tried hard to eliminate Fake profiles and for this purpose they also introduced Phone verification for new profiles. but still Fake profiles do exists on Facebook and lot of new are also getting created on daily basis.